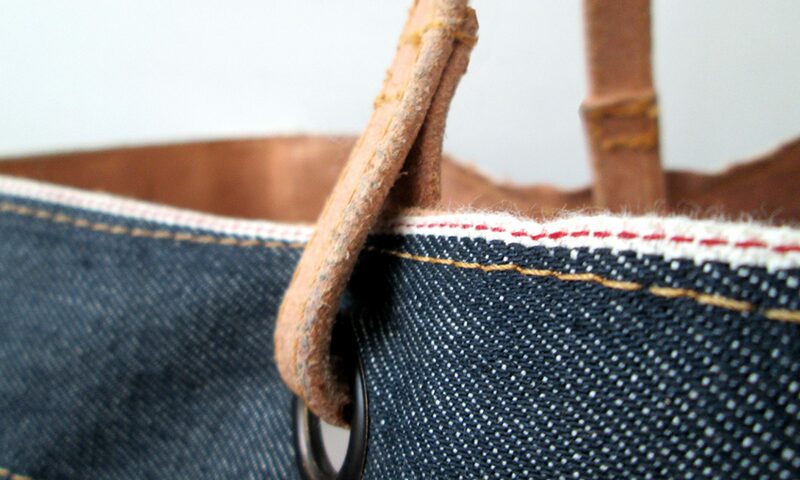 Our Atelier Bensenhaver Denim Leather Tote is made of 14.25 Oz. selvage denim combined with natural vegetable tanned leather from Italy. A stylish bag to carry your groceries and take it along where ever you go.. There is always something you can put in your tote. It has an inside pocket with zipper, so you can also safely carry little stuff! The bottom, the inside edge and the handles are made from vegetable tanned leather. The difference with our AB Denim Tote are the leather bottom and leather panels on the lower part of the tote.